It finally feels like fall here. We had a big storm come through Saturday with wind and rain and when it cleared the light had changed and autumn was official. It’s the most beautiful time of year in Ontario! We’re hoping to create some new Halloween shoots soon but here’s a review of four of our favorite Halloween themed ones to get you inspired for the upcoming holiday!!! “Pumpkin Patch“- We had the most wonderful day shooting this series with models CheshireCat, Syringe, and Lady Rakasha! Autumn at it’s best! Inspired by Victorian hoax “Spirit” photography comes this breathy ghost story by the House of Pomegranates featuring Greyling and Syringe. We constructed our own graveyard for this eerie photoshoot! It features a bunch of Gloomth models and photos by Russel Hall. For the launch of our “Carmilla” collaboration we built a 6 foot coffin and had Lily and CheshireCat play vampires in this dark series! 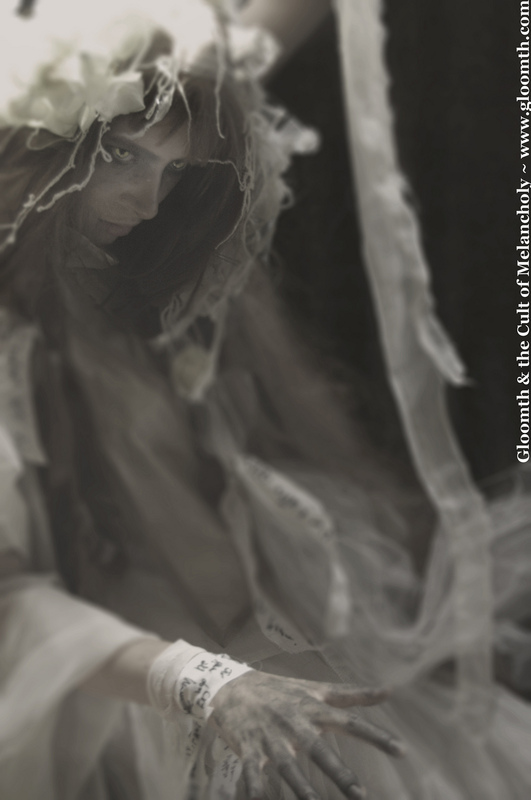 We have loads of other spooky shoots to share from over the years but maybe we’ll save those for another day. Happy Almost Halloween-ing! ← Sugar Mountain x Gloomth Halloween Candy Party!